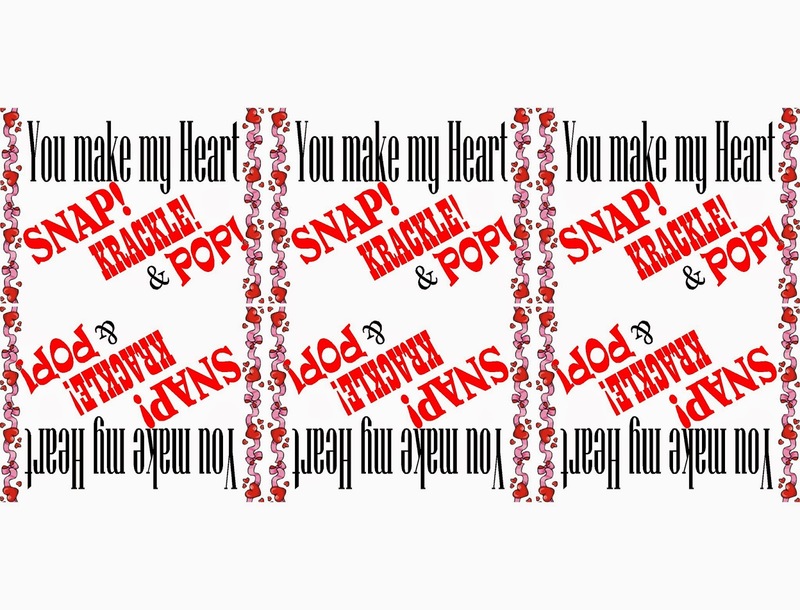 div class="separator" style="clear: both; text-align: left;"> Here's a free printable and fun treat for a class Valentine or sweet treat for your kids this Valentine's day. 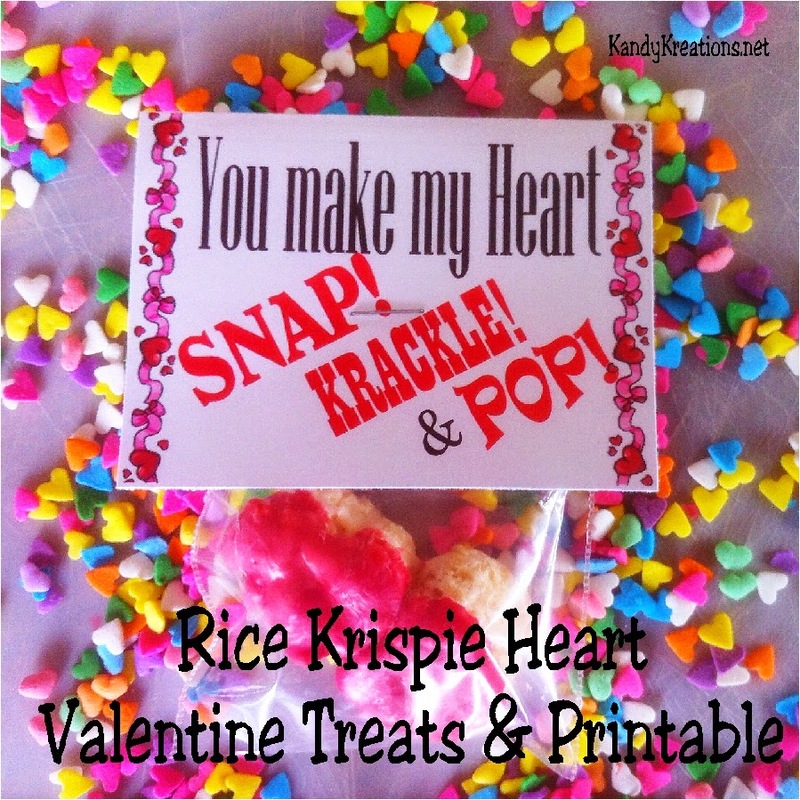 Using Rice Krispie treats, Wilton Red Chocolate Melts, and our free Valentine printable, you have a sweet Valentine that's quick, easy, and delicious! One of my greatest weakness is Rice Krispie treats. I don't know what it is about them, but I love the gooey, sweetness. Top the treat with chocolate an you have pure heaven! 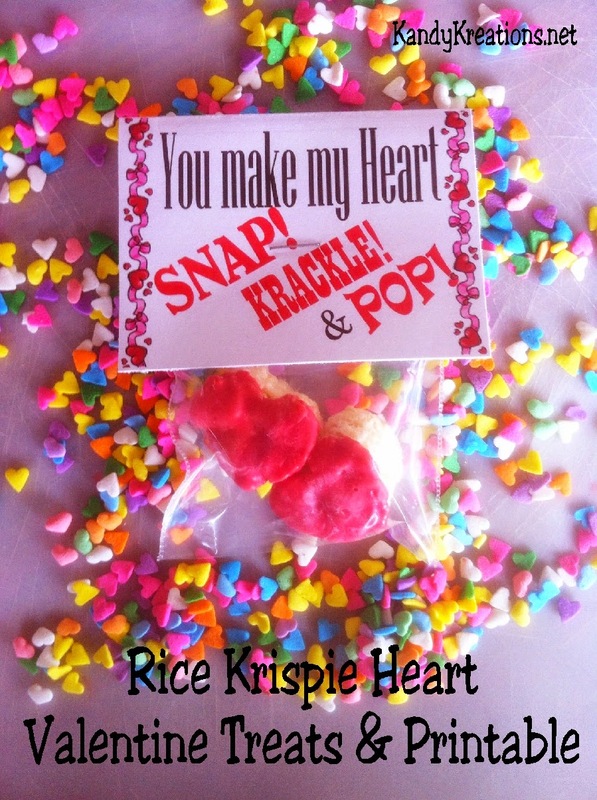 So of course for Valentine's day, I had to make my kids a sweet treat using my favorite treats. So these Snap! Krackle! and Pop! Valentine heart printables were born. 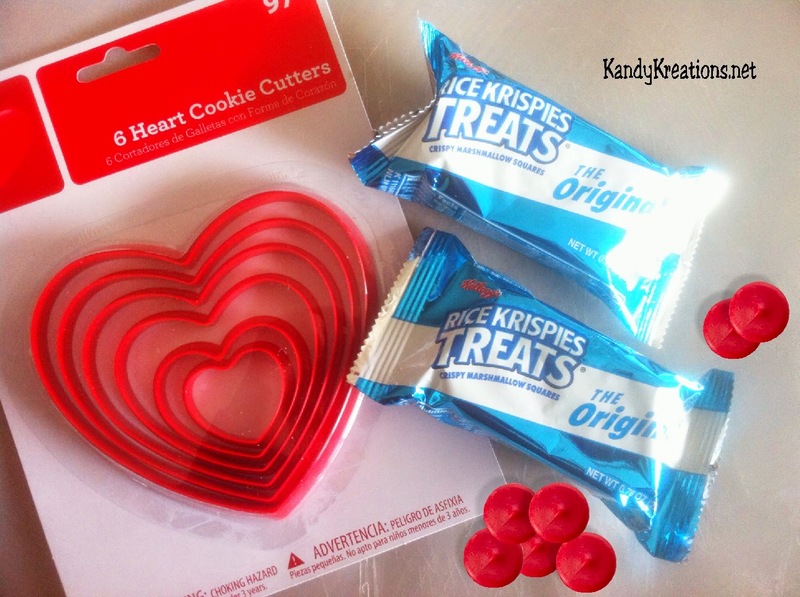 Using the 1 1/2 inch heart, cut out two hearts from your Rice Krispie treat. The treats are taller than the heart, so it helps to use a knife to cut away the extras on the side as you push down on the cookie cutter. 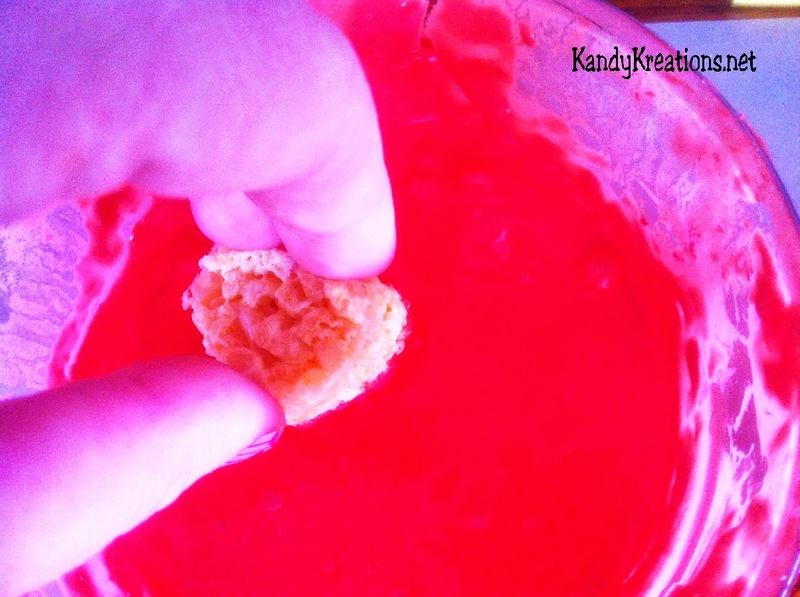 Using a microwave safe bowl, melt your Red Candy Melts on 50% power for 1 1/2 minutes. Stir the chocolate and repeat until the chocolate is melted and smooth. 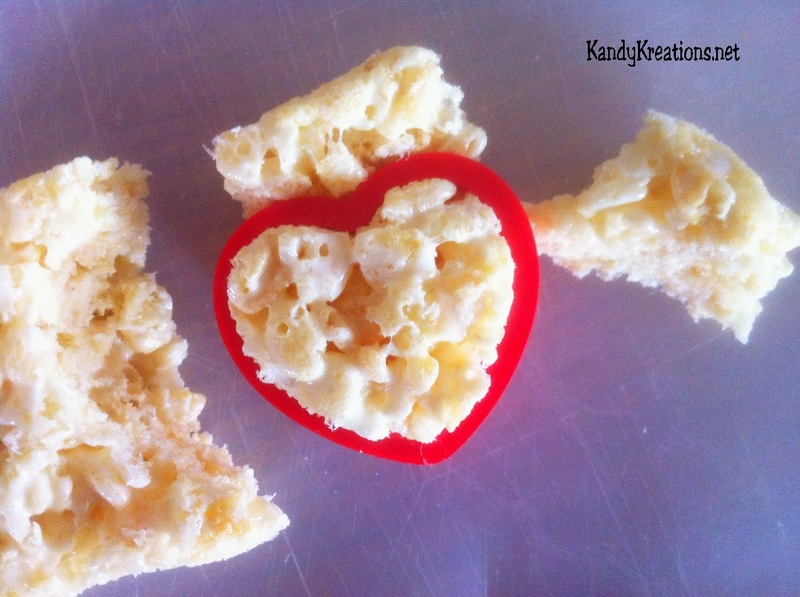 Dip the top of your Rice Krispie heart into the chocolate. Let the excess chocolate dip so it will not drip when you turn it over and allow it to dry. Right click on the free printable above and save it to your computer. Open and print the candy bag topper. 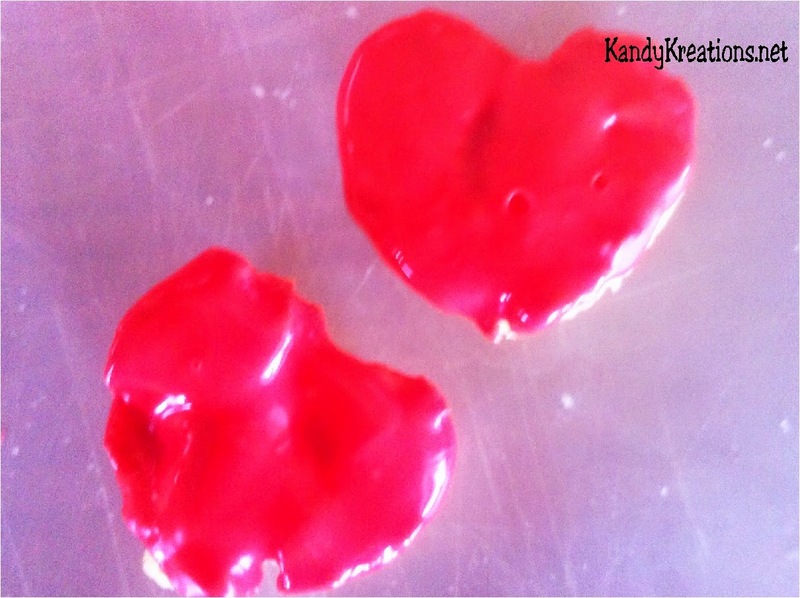 When the chocolate is completely dry, add two of your chocolate hearts to a 3x4 inch bag. Fold the bag topper printable over the top and staple it on.